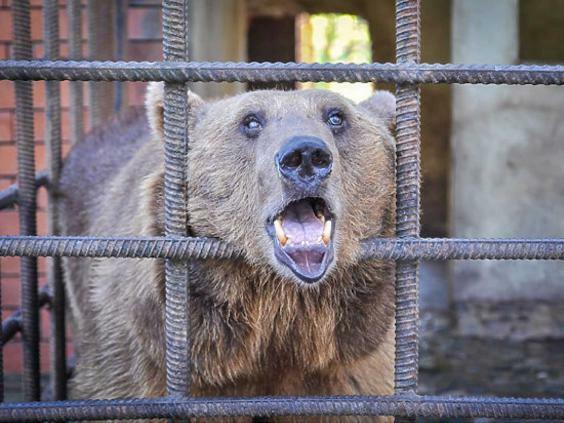 Animal rights campaigners are fighting to save two blind alcoholic bears in Russia, as rescue centres across Europe turn down offers to take them in. 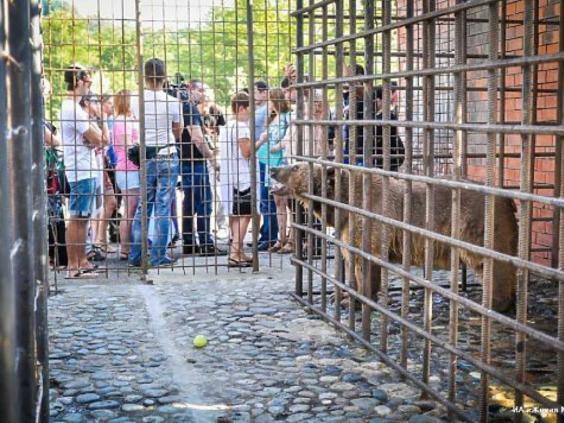 The two animals, held at Patskhu-Guria restaurant in Sochi, have been enclosed in small cages for more than 20 years after the owner decided they were too big to be allowed outside. Their condition deteriorated as customers were allowed to feed them junk food and alcohol. Ms Kogan described how the bears’ addiction to alcohol, brought on by the careless neglect of the owner, made re-homing them especially difficult and potentially dangerous. “Bears have a stronger reaction to alcohol than humans – they can die,” she said. 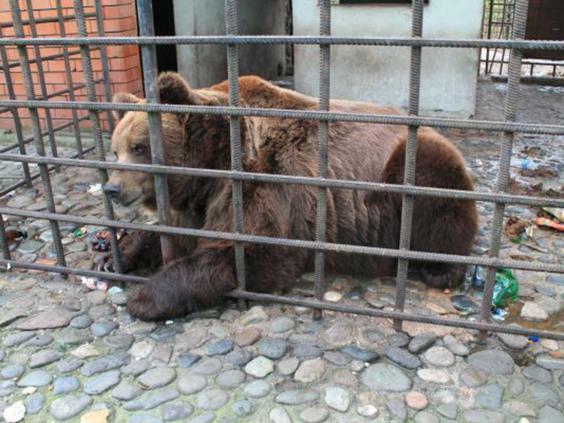 “You can take the risk and put them in what we would call ‘rehab’ but the chance is low that they will survive the treatment.” Although she has reached out to many European animal centres, with one agreeing to take the bears, all eventually turned Ms Kogan’s request down because of their alcohol dependency. “It’s very expensive to look after bears in this condition, and many centres just don’t have the funds,” she explained. But owner Dzhenkis Uzaroshvili has defended his use of the bears, telling reporters: “Beer is good for them because they live in such a climate.” Across Russia many bear cubs are left orphaned following the spring hunt. These cubs, when they eventually venture out, are picked up by humans who either adopt or kill them. The cubs are kept as pets until they grow too large and often end up in miserable conditions, locked in cages. The legislation surrounding the welfare of the animals is decidedly limited, so campaigners – such as Ms Kogan – are often powerless. Her organisation, Big Hearts Foundation, is the only foreign NGO petitioning the Russian parliament to change the law in an attempt to prevent the widespread abuses. 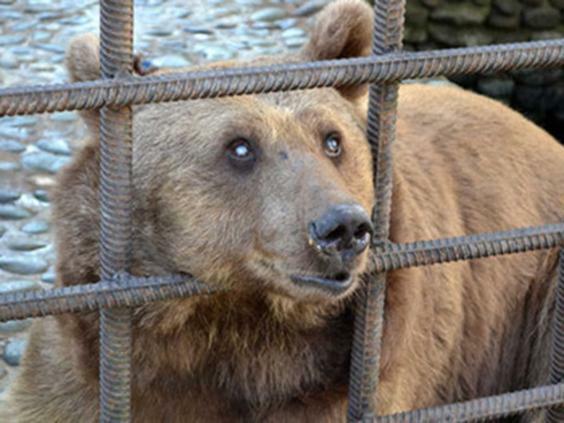 “There are plenty of these bears, brought up in humans, sitting by the roadsides in cages or outside restaurants,” she said, adding that the two in Sochi were among the worst she had ever seen.